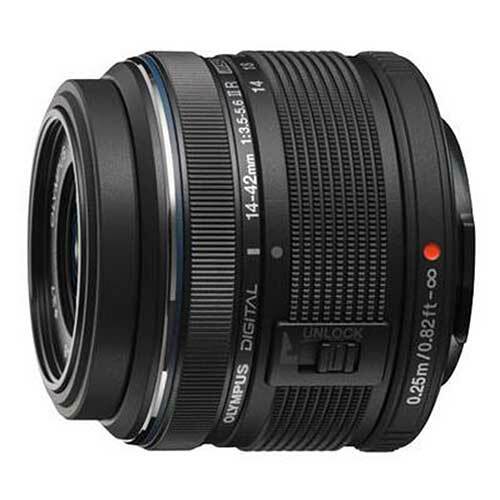 Lens Description: Smaller and lighter than standard SLR lenses thanks to the Micro Four Thirds format, the M.ZUIKO DIGITAL 14-42mm 1:3.5-5.6 II (35mm equivalent focal length: 28-84mm) lens provides full 3x zoom performance in a very small package. The evolution of this PEN kit lens now focuses faster than ever before, so you won\'t miss out on rapid shooting situations. Designed for shooting movies as well as stills, this updated lens now features MSC technology for practically silent auto focusing and great movie sound even when zooming. This lightweight and compact lens delivers high image quality and has an excellent close-up shooting capability.